The fireworks flashed over the National Mall as the National Symphony Orchestra struck up the beginning chords of Irving Berlin’s “Alexander’s Ragtime Band,” during the July 4th concert in Washington, D.C. This year marks the one hundredth anniversary of the piece’s debut. Ain’t you go-in’? Ain’t you go-in’? To the lea-der-man, rag-ged me-ter man? Grand stand brass band, ain’t you com-in’ a-long? Come on and hear! Come on and hear! 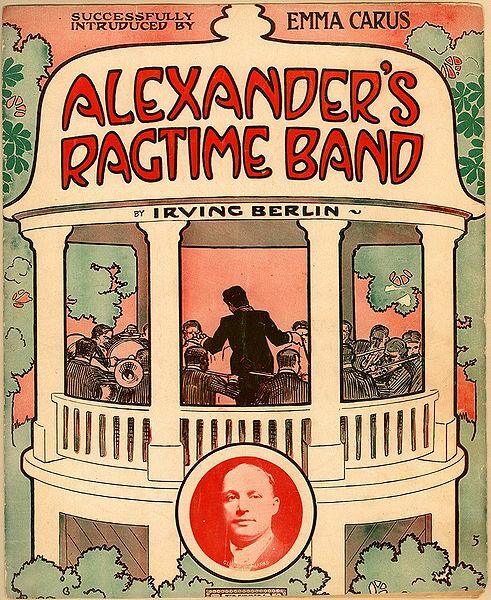 Al-ex-an-der’s rag-time band! Come on and hear! Come on and hear! It’s the best band in the land! Come now, some-how, bet-ter hur-ry a-long!